We are a small family operated tour operator based in Oxfordshire in the UK. We want to help you plan the holiday that will give you stories and memories for years to come. And to give you the chance to see a side of Africa not so easily found. To us, Africa is a truly incredible continent with so many experiences up for grabs if you only take that first step. We are here, to make those seemingly endless steps to the perfect adventure so much easier… by working alongside you and doing the difficult parts for you! With links to the industry stemming from over 25 years of working in one area of safaris or another, we can work to give you a great deal and one of a kind holiday. We are here to answer them, and we will do everything possible to find out what we don’t already know. We are here to smooth the way, and make your trip the perfect fit to give you peace of mind and a truly memorable experience. Here are some of our safari highlights, the little things we have learnt over the years that will help make your holiday the envy of everyone you know. Knowing when you want to go is the key information that will help us to help you plan your incredible trip. If you have the when but not the where, let this calendar open your eyes to some of your options – then let us show you a world of possibilities. 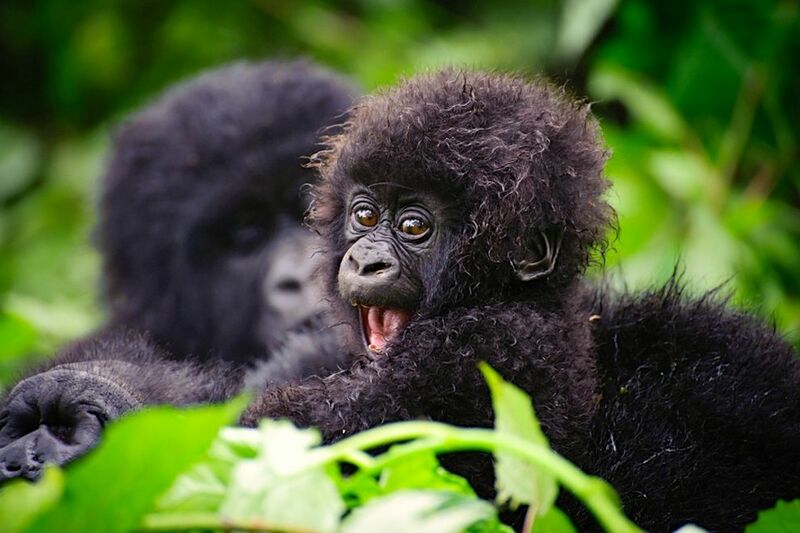 The best time to see gorillas in the Bwindi Impenetrable Forest Reserve as the climate is drier and cooler for hiking in the rainforests. A great time to do a self-drive journey along The Garden Route along the east coast of South Africa taking in the Addo National Park and Knysna and visit the Cape Winelands ending in Cape Town. Witness the spectacle of thousands of newly-born wildebeest in the southern Serengeti Game Reserve, along with hundreds of predators. Explore the Kalahari just after the rains – the Kalahari zebra migration, amazing birdlife and engage with San, a tribe that has occupied this part of Africa longer than anyone else. 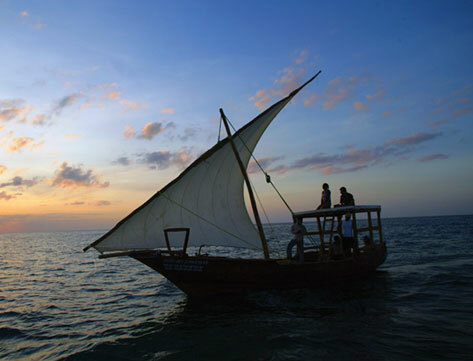 Take a Dhow safari in the Quirimba Archipelago – dive in the warmer waters and explore Ibo Island and spend a day on Ilha de Mozambique, the landing point for the Portuguese explorers in 1507. Explore the Masai Mara outside the peak holiday period and discover the wild side away from the tourists. The perfect time to explore the Cape Winelands and indulge yourself in the amazing cuisine of Franschoek and Stellenbosch and finish the trip with a few days in the Grootbos wild flower and fynbos reserve on the coast. Dive with the whale sharks in the Misali Marine Reserve and discover Stonetown, known as Mji Mkongwe to the Zanzibaris – a labyrinth of buildings dating back to the 1600’s. At the peak of the wild fruit ripening you’ll find the gorillas in the Volcanoes National Park. As the rains move North the young wildebeest calves follow their parents northwards – the start of the annual migration to the Masai Mara. 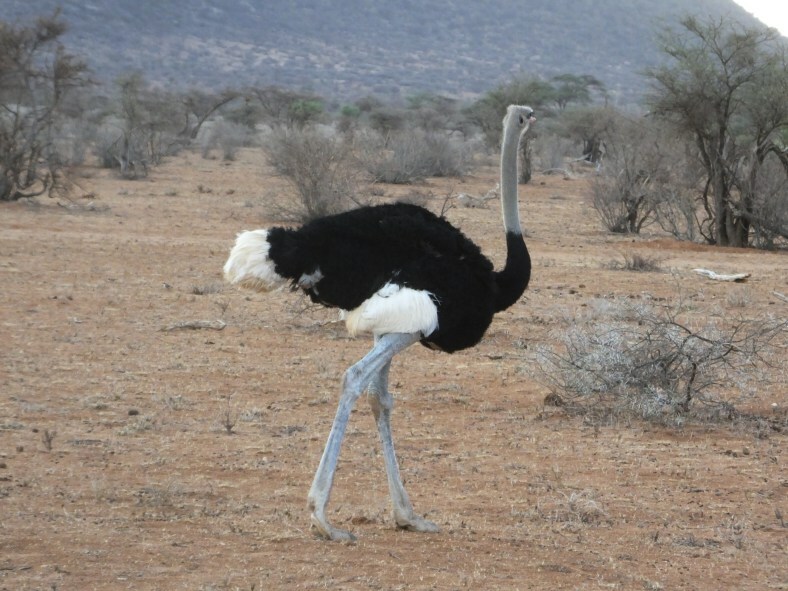 Seek out the ‘Samburu 5’ in the Samburu National Park – Grevy’s zebra, reticulated giraffe, long-necked gerenuk, Besia oryx and Somali ostrich and spend a lazy week in a villa at Shela with easy access to Lamu. As the rainy season comes to an end, it’s the perfect time to see the spectacular landscapes of Damaraland and the Kaokoveld on a privately guided mobile safari. A chance to meet the Himba and see the Marienfluss covered in grass and wild flowers with herds of oryx, springbok and zebra. Hang out with the chimpanzees in the Kalinzu Forest Reserve and explore the Queen Elizabeth National Park. Explore the Kruger National Park on a self-drive safari out of peak season – a great safari solution for a tight budget. Take a hot-air balloon flight over the Masai Mara – safari from a new and amazing perspective! 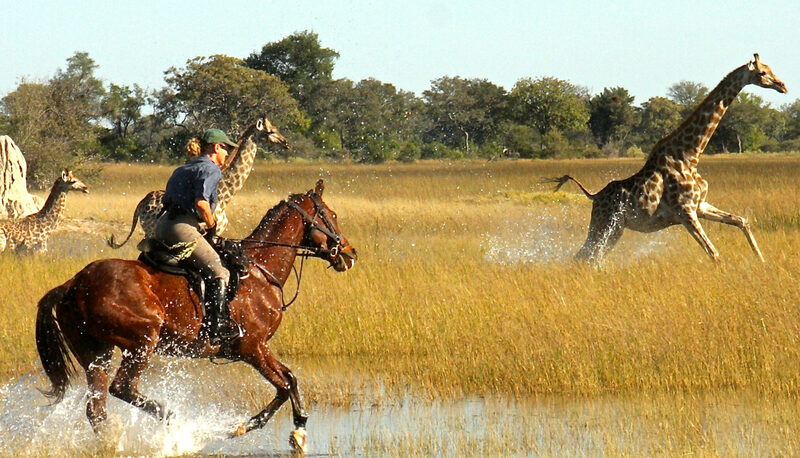 Experience a riding safari like no other on the fringes of the Okavango Delta after the rains have stopped. 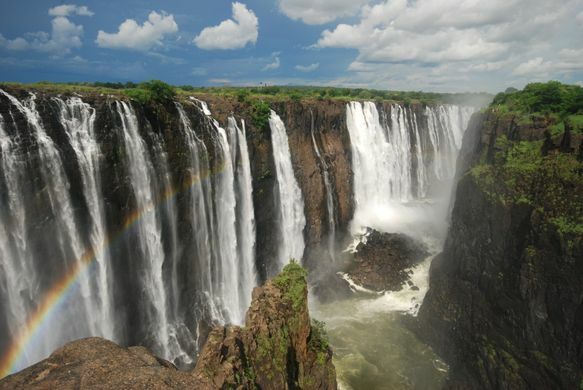 Ride with giraffes, zebra and wildebeest and finish your safari in Livingstone and see the Victoria Falls nearing peak flow. With the cyclone season of the previous two months over, it’s a great time to explore the southern reaches of Mozambique. From the Machangulo Elephant Park in the south to Gorongosa National Park with a few days in the Bazaruto Archipelago. 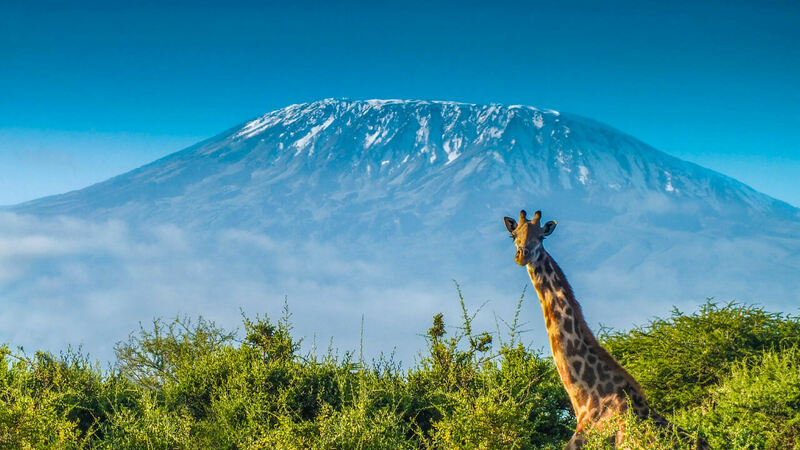 Discover the flamingoes and colobus monkeys in the Meru National Park and if you are up for an adventure try the 4-5 day hike to the summit of Mount Meru and watch the sun rise over Mount Kilimanjaro. 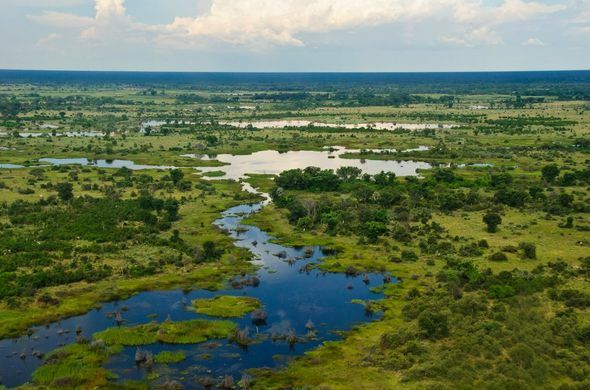 Visit the Lower Zambezi National Park, Africa’s first carbon neutral national park, and combine walking safaris, canoeing and game-drives along the banks of the Zambezi River. 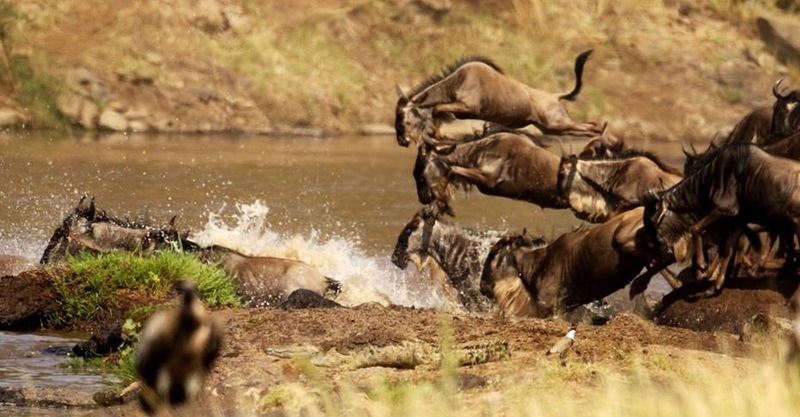 As the wildebeest migration moves north, they arrive in the Grumeti River area and start their first river crossings – a great time to see the spectacle away from the crowds. 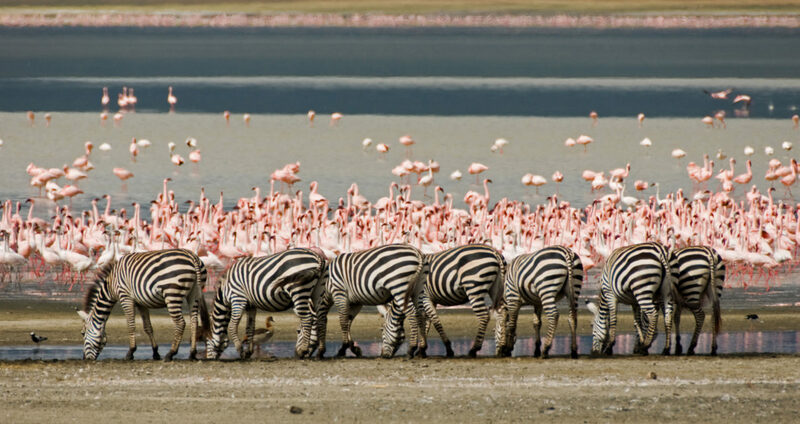 June is the coolest time to climb Mount Kilimanjaro and explore the Ngorongoro Crater, packed with wildlife, and Manyara National Park to see tens of thousands of flamingoes. Take a walk in the spray of the Victoria Falls as they reach peak flow (wearing a poncho!). 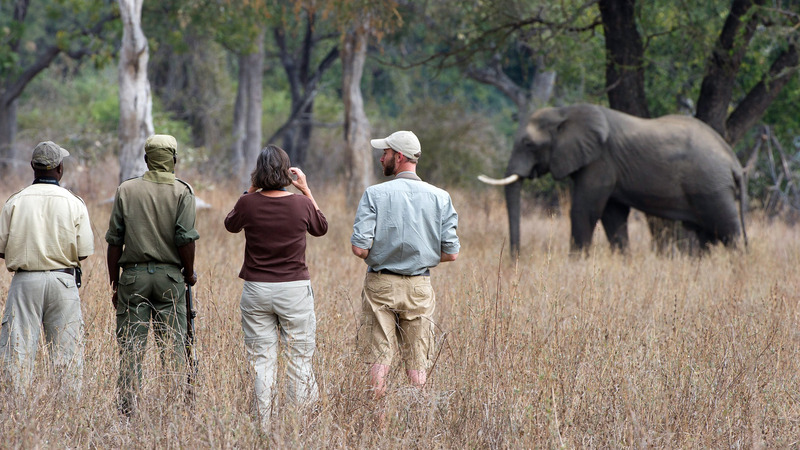 The perfect time to experience a traditional portered walking safari in the northern reaches of the South Luangwa National Park. 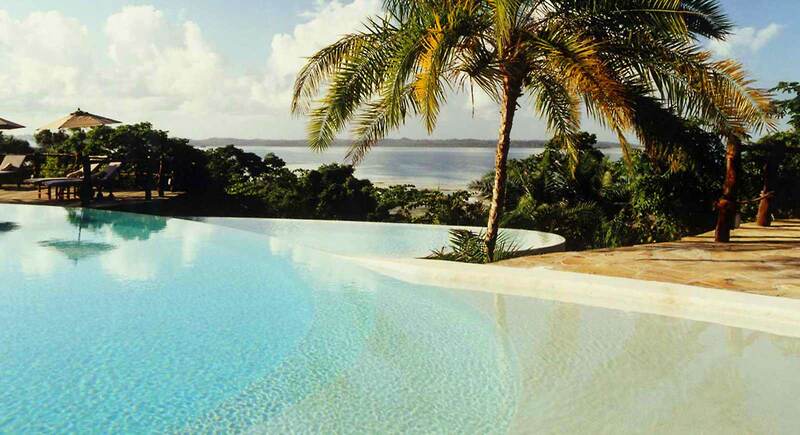 The perfect month for a ‘safari and beach’ holiday. Make the most of the variety of environments Kenya has to offer, from the wide open grasslands to golden sands and azure oceans. Discover the endemic wild flowers in the northern Cape including the Yellow Leucospermum Reflexum, Snow Protea (protea cryophylla), Pink Cyanella Alba, Blue Lachanaea Filamentosa, Yellow Sparaxis, and the Clanwilliam Cedar (widdringtonia cedarbergensis). 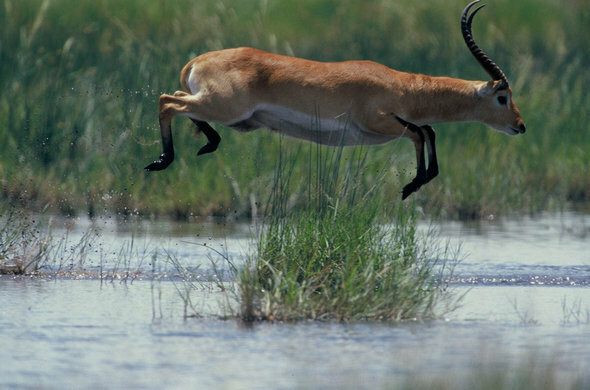 Watch thousands of Red Lechwe gather in the Busanga Plains in the northern Kafue National Park. As the wildebeest prepare for their southward migration to the Serengeti spend time watching the young mammals frolic in the lush grassland of the Masai Mara Game Reserve. Witness the spectacle of millions of wildebeest and zebra crossing the Mara river back into the Serengeti. 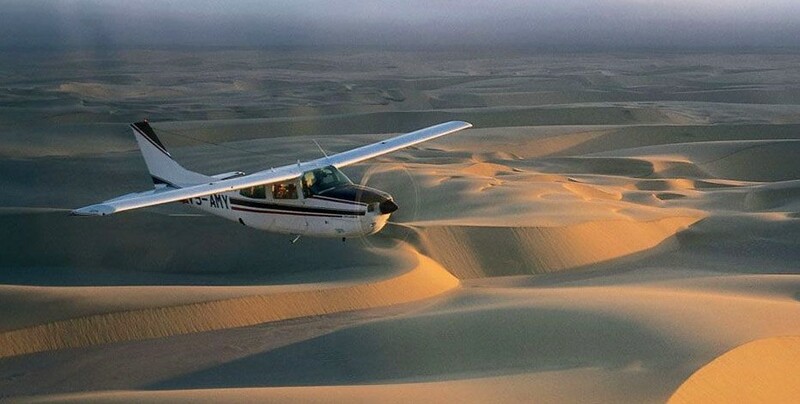 Explore the northern reaches of the Skeleton Coast National Park and the Kaokoveld with a fly-in safari – a unique safari if ever there was one. 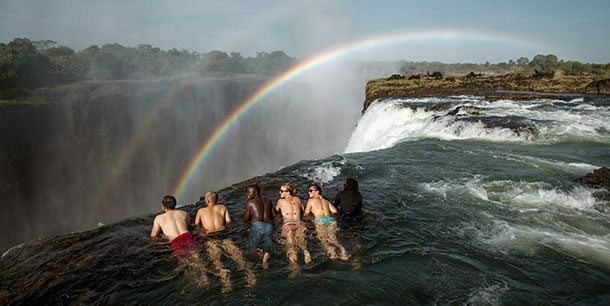 Swim in the ‘jacuzzi pool’ on Livingstone Island on the edge of the Victoria Falls. 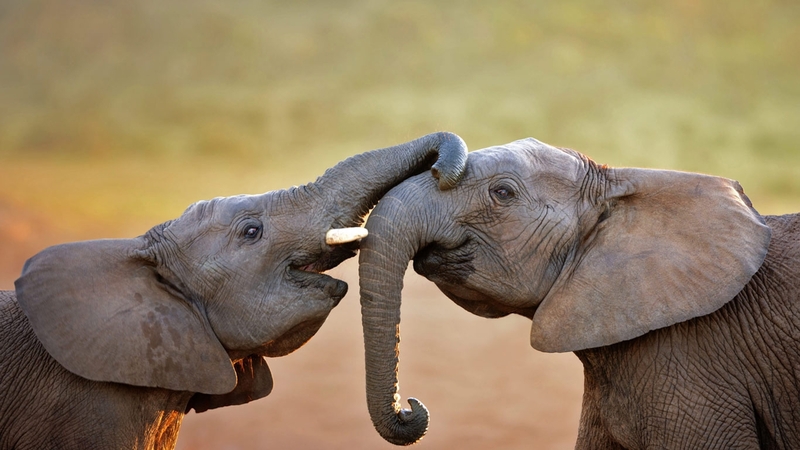 Mingle with thousands of elephants in the Chobe National Park along the banks of the Chobe River. Follow the wildebeest migration South through the Serengeti Game Reserve. Visit the Khwai Game Reserve and Moremi National Park at the driest period where the concentrations of wildlife along the Khwai River and Xaxanaka channel are exceptional. 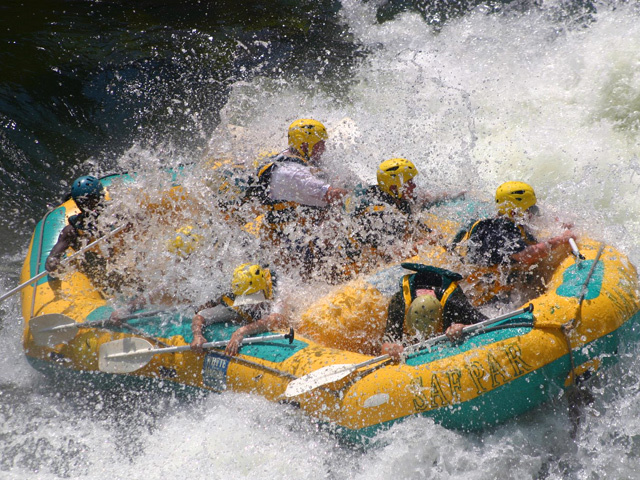 The Lower Zambezi National Park on the Zambezi River is open until early December for you to canoe the channels or take a walk on the wild side with a qualified guide and armed park ranger. Spend Christmas and New Year relaxing in the sun and diving on Pemba with a couple of nights in Stonetown on the way home. Head deep into the Kalahari Game Reserve in the ‘green season’. Welcome in the New Year amongst the huge granite boulders of the Matopos National Park and add on 3 nights in Victoria Falls. Book early to spend Christmas in the Samburu National Park and visit the Save the Elephants conservation HQ. Get away from it all for Christmas or New Year on Likoma Island and dive in lake Malawi. Then hop across to Mozambique and finish your safari in the Niassa National Reserve or Gorongosa National Park. If our calendar hasn’t helped you to figure it out, then why not have a look at our itineraries, or get in touch for some more ideas? click on a picture and see the safari you could be on. Contact us now and let us help you plan your dream safari.